#Raggies2018Div1! Memberships 2018. 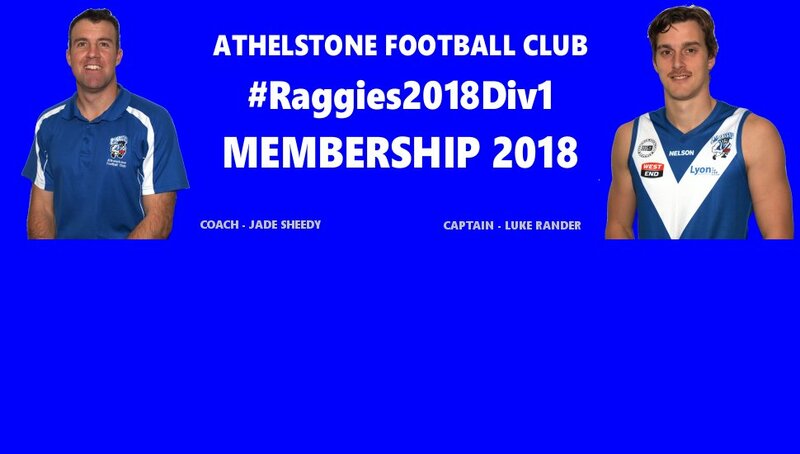 To all Raggies Fans, we'd love you to get on board the Raggies Division 1 Campaign in Season 2018. It promises to be a fantastic year and we'd like you all to be a part of it. Membership shows you aren't just there in spirit but are a big part of the Team behind the Team. Our Club is a great one and we want it to get better so do what Jade and Luke say and get on board for the Raggies crack at Division 1. We look forward to your support in 2018 as we strive to make it a year to remember! Read the President's Letter by clicking here. Old and new members welcome. You can purchase your membership package in our Online Store.